Looking for your next short break ideas? Stay on a boat for your next short break. Has the monotony of hotels left you with the desire to search for unusual places to stay? Fed up of no availability? In this post we highlight 10 signs that, for your next short break, you should stay on a boat. Price – You are fed up with the ever increasing prices for a hotel stay. You feel that you aren’t getting value from staying on a hotel. Staying on a luxury boat is often a cheaper accommodation option when compared to overpriced, underwhelming hotels. For example, you can stay on a luxury 50ft Sunseeker motorboat in Poole for under £50 per person or a luxury yacht in Barcelona will cost you under £40 per person. Location – You want to chose a great location for your next getaway but you can’t find anything special. You want a beautiful location, that is easy to get to, that isn’t packed full of tourists scrambling for the few remaining sun loungers. Beds on Board has the solution! Marinas are often located in popular holiday destinations but because of their nature they are a more private, peaceful haven for visitors. Most are also surrounded by stunning scenery providing that picturesque backdrop to your stay. Staying on a boat will give you an exclusively peaceful environment that is often accompanied by local cultural experiences and cuisine on their doorstep. Unique Experience – You want to try something different from the “same old hotel offering”. Sure you get a well appointed bedroom, someone serving you a G&T, maybe even a spa treatment but increasingly people are looking for unusual accommodation and a unique holiday experience. More often, holidaymakers are searching for experiences and enjoy connecting with nature, seeking a place to stay that is “off the beaten track” and this is what you get with renting a boat for the night. There is also a sense of wellness that hotels and spas spend millions trying to achieve that is fairly natural on a boat. Laid-back luxury – Finding it hard to search for that luxury getaway at a sensible price? When you are looking for luxurious and laid-back accommodation for your well-earned break, staying on a boat should be at the top of your list. We believe, laid-back luxury is all about the no frill’s escape where you can truly unwind in comfort in a beautiful setting. With a boat you can escape the fast pace of normal life, take a deep breathe and completely unwind. Do you need more reasons? If you agree with the first 4 points already then go no further. You need to sign up today and start searching for your next short break experience on a boat! The importance of good hospitality? – You may have realised that unless you have the appetite (and budget) for a 5 star hotel service experience it seems that you would rather spend your energy finding somewhere out of the ordinary to stay. In this instance the unique experience of staying on a boat surpasses the need for service and the boat stay itself becomes the reason for choosing it. Who needs hospitality when you can get a taste of the lifestyle of owning a luxury yacht? Local food & drink experience – Hotels have become inflexible with the types of cuisine they serve and the spaces in which it is delivered…and that is not the authentic dining experience you are looking for. Staying on a boat allows you the flexibility to dine onboard (eating on the flybridge of your own private luxury motorboat in the evening sunshine has got to be better than a hotel dining room!) or alternatively guests are able to take advantage of the local restaurants and cafes that frequently accompany marinas. For most, the opportunity to experience true local cuisine ranks highly on their preferences for a luxury getaway. Romantic breaks – You work hard, you want to find a place that just the two of you can go to escape and revitalise and spend some quality time reconnecting. We have just the antidote to a hectic lifestyle – staying on a boat gives you a peaceful environment, with moments of quiet enabling you to enjoy time together, relaxing. For the wow factor without too much effort stay on a boat and discover your perfect romantic break. Family friendly breaks – There is a huge benefit to staying on a boat – there are often multiple cabins in the boat (most sleeping between 2 and 6 guests in comfort) and this means that your friends and family will be able to spend more time, sharing the experience together. In most instances the price per person of sleeping on a boat for a family represents a cheap accommodation option, in some instances prices are under £40 per person, per night! 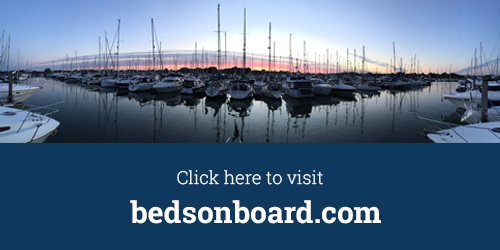 You would like to experience the boating lifestyle – Sleeping on a boat instead of a hotel or B&B can be the first step in becoming part of the boating community, discovering a new and exciting lifestyle. Renting a boat for the night gives guests the opportunity to experience boating without the burden of ownership. However, these aren’t the only benefits. Guests have reported how much they enjoyed the peace and quiet, the friendliness and feeling of community and of course the sunsets and open skies. (We agree, this is one of the reasons “why we love sleeping on boats”). So, Why stay on a Boat instead if a hotel? It’s not a hotel, it’s an experience, which is why staying on a boat is such a unique accommodation option. Staying on a boat is fun, it’s different and offers a taste of the high life at an affordable price. Search today for your next short break on a boat.